Rigid Flex Circuit - Hemeixin Electronics Co.,Ltd. It`s getting harder to fit everything in the box; it`s also getting more costly. 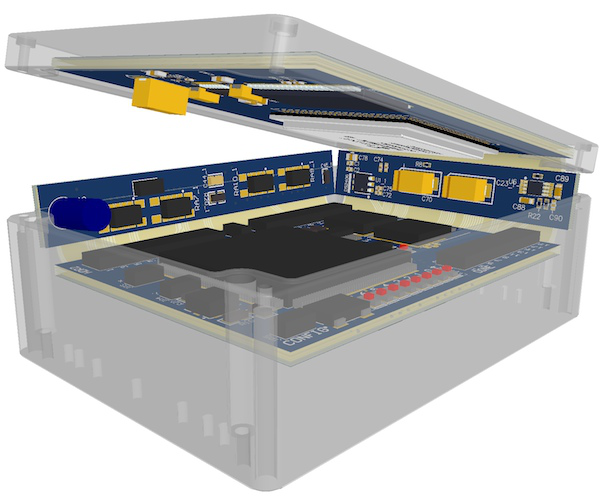 One solution promising to help designers meet the size constraint head on is rigid-flex PCB technology, but most design teams try to avoid using rigid-flex PCBs when product cost is an issue. But is it really as expensive as we think? To begin with, consider the cost of the traditional rigid-cable-rigid PCB assembly to one based on rigid-flex technology. The former construction works well for short-run designs; however, it requires connectors on each board and the interconect, all of which drive up BoM cost. Additionally, the rigid-cable-rigid design is prone to `cold joints`, and reduced service life. 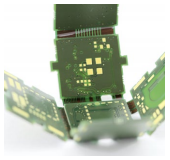 In contrast, rigid-flex circuits eliminate these joints, making them much more reliable and able to deliver overall higher product quality and longevity. So while rigid-flex PCB technology is certainly not new, various considerations now make it much more viable – not the least of which is cost. cables with a single package offering improved performance and reliability. consumer products in the past few years. due diligencein determining the break-even point where the costs are about equal. estimated via count,track and space ratios, etc.). base station equipment to ensure long term reliable infrastructure. 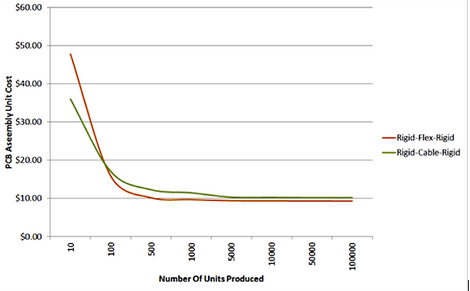 This quote-generated cost plot compares a rigid-flex design to a rigid-cable-rigid assembly. As the project volume depicted in above picture hits 100 units, the rigid-flex design becomes a more cost-effective option compared to the traditional design approach. 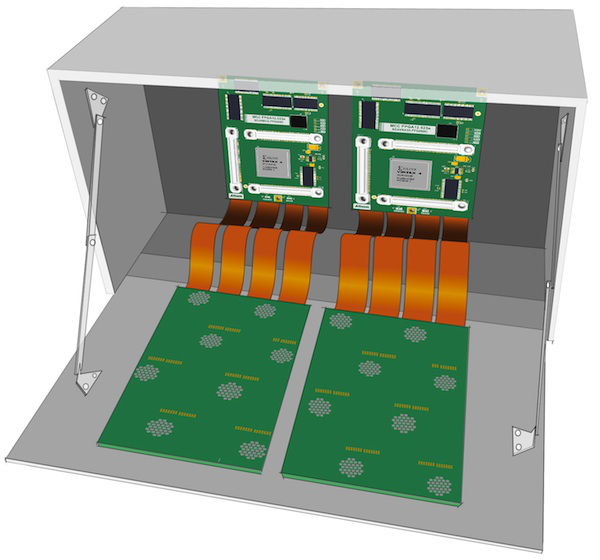 A key reason for this cost savings is that rigid-flex circuits do not use connectors/cables or require any connector assembly. Also, they feature increased reliability and process yields. But that`s just the tip ofthe iceberg. 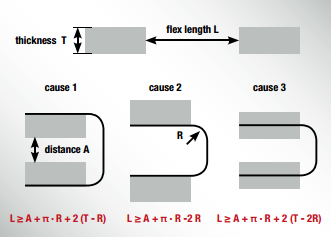 that, while the materials that comprise a flex circuit may be individually flexible, their performance in a completed circuit is greatly impacted by a circuit`s construction. effort is reduced, as is their test complexity – both of which drive down cost. service. Toward the inside of the bend, layers are subject to increasing compression. This cancause layers to wrinkle or delaminate, again a potential cause of immediate or eventual failure. Careful designcan help prevent these problems.